Brunch so good, it'll make your friends board a flight to NYC. A great brunch has a certain je ne sais quoi that separates it from other meals of the day. 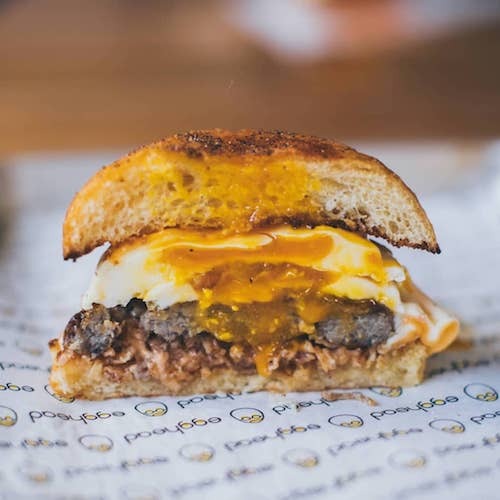 Like Michelangelo and Caravaggio but with runny yolks, chefs across the country are cooking up masterpieces during this brunch renaissance and Jeremy Jacobowitz from Brunch Boys is devouring and documenting the best of them. “I’ve always loved brunch. 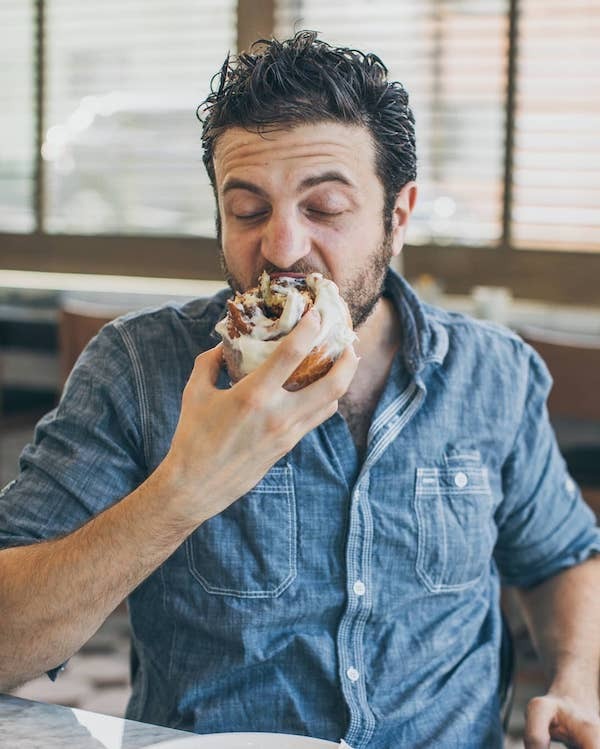 The original idea was just to make some fun brunch videos between my gigs producing food tv shows, but for over two and half years now its been my full time job.” He told Citizine. Jacobowitz has the perfect brunch line-up for every occasion. His ideal brunch situation includes the Plan B-Rito from Flip Sigi full of eggs, spam, longanisa, bacon, hashbrowns, avocado, cheese and salsa for when you need something to counteract the amount of tequila in your body or the thick cut bacon with jalapeno jelly and peanut butter at Quality Eats for when the family is in town and it’s time to convince them that you’re thriving in New York. 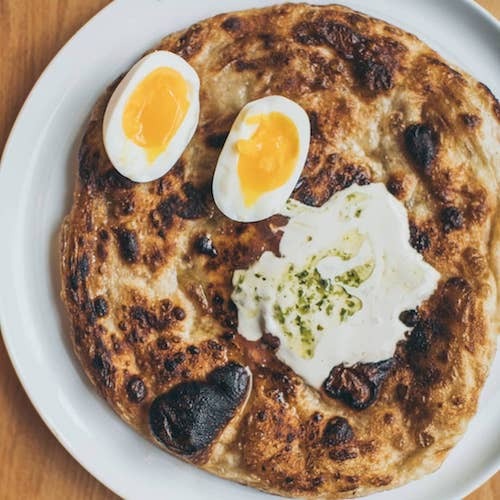 According to Jeremy, these are the brunch spots that are going to make your friends hop on the earliest flight to NYC after seeing them on your Instagram. 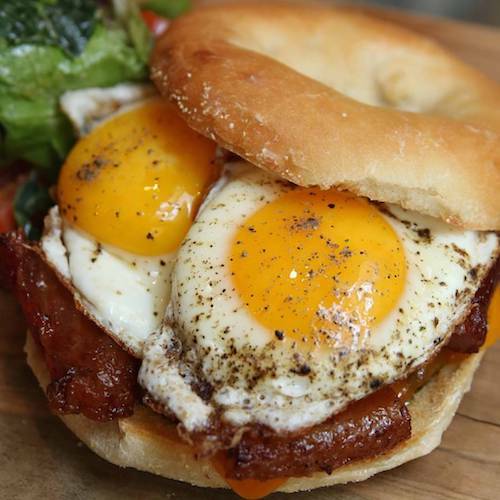 JJ: One of the absolute best brunches in NYC, and their giant Jerusalem Bagel cannot be missed. 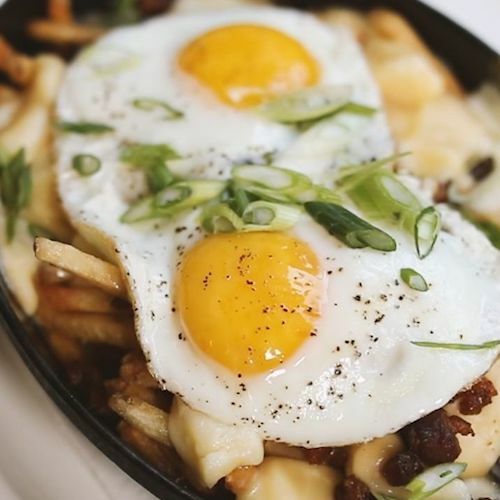 JJ: Two of the ultimate brunch dishes come from this seafood focused restaurant; their Savory Everything Bagel Donuts, and their BEC Poutine Fries! JJ: What's better than being able to brunch everyday?? Besides their amazing Breakfast Sandwiches available all day, you absolutely need to order their Cheesy Hashbrown! 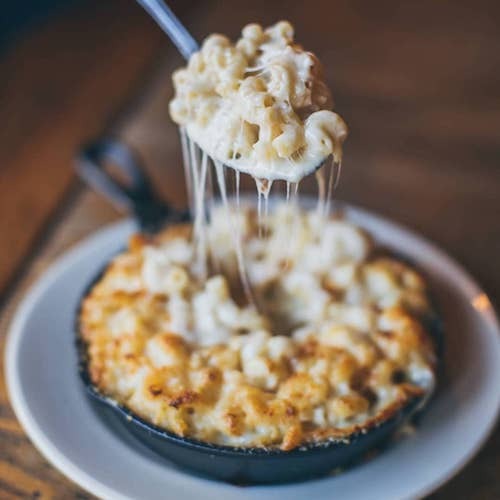 JJ: Always a great suggestion since there are locations all over the city, they will have something for everyone, and most importantly, their Mac N Cheese might be the best in NYC! 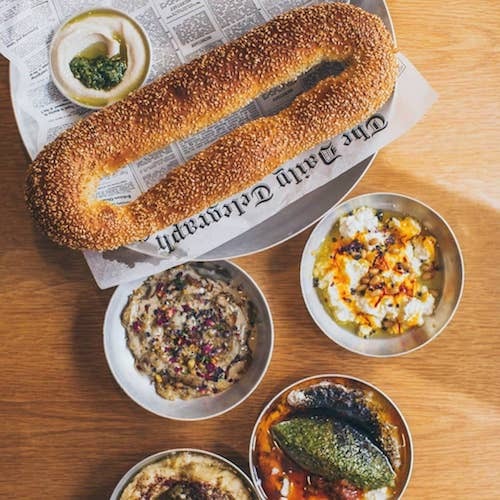 JJ: This little Israeli cafe in Williamsburg is one of my absolute go-to spots. Everything is off the charts, but I can't get enough of their Yemenite Pancakes. 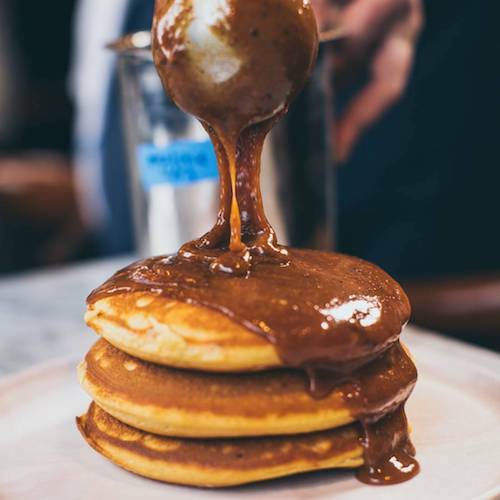 JJ: So much to love at Sunday in BK, but you can't go and not order their Malted Hazelnut Praline Pancakes! 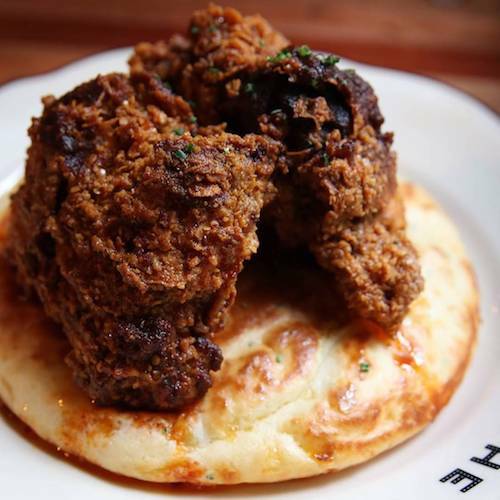 JJ: If you are looking for a Fried Chicken brunch, you can't miss The Ribbon and their Fried Chicken and Biscuit Pancakes! South VillageJJ: Everyone knows how good their Candied Bacon is, and for brunch they put make it into one of my favorite BEC's in NYC!